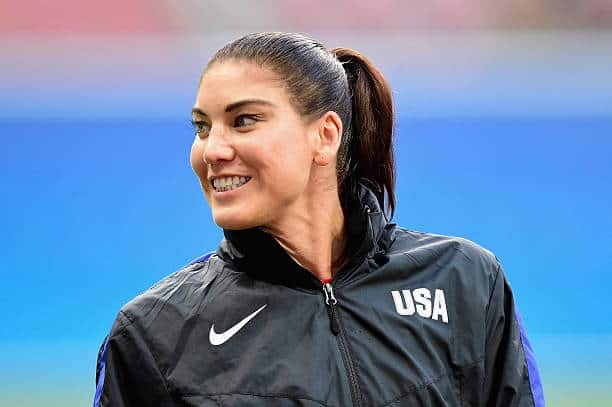 Hope Solo has been the face of many things for the United States Women’s National Team. She’s been the face of greatness, but also the face of controversy. Not to mention, showing steely determination on and off the pitch. Solo is not only known for her tremendous play on the pitch, but also for her outspoken character. Never afraid to speak out against the federation, her opponents, teammates and even coaches. After this outburst, she was banned from the team for six months. However, once February 2017 rolled around, Solo was eligible once again. However, head coach Jill Ellis has elected not to include her on any more national team rosters. This has also continued at her National Women’s Soccer League Club as well. Solo hasn’t featured for the Seattle Reign since her suspension either. Instead, Haley Kopmeyer has held down the fort, making 24 starts for the Reign in 2016 and 2017. “Well she’s the current era right? Obviously, I’m out,” Solo said. “Haley is one of the most fun players I have ever trained with. We had such a great camaraderie and I miss her every single day that I’m not there training with her. I’m proud to have trained with her and proud knowing that she learned a lot from me. She helped make my career very enjoyable. I look back with very fond memories on every moment of my Seattle team, and every moment I think of Haley. 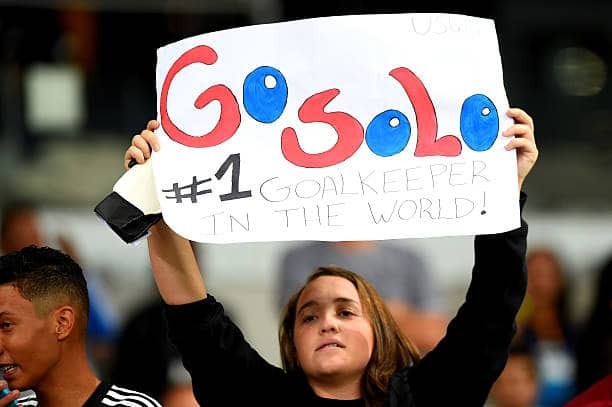 However, things might be turning around for Hope Solo. French outlet L’Equipe has announced that Marseille is interested in the goalkeeper. Solo has even expressed interest in returning to the pitch, saying in an interview to Villa magazine that she doesn’t know if she’ll feature for the Reign. But she is looking at other possibilities as well. “My wonderful coach and owners at the Seattle Reign are welcoming me back at any time, but right now it’s time for me to look at all my options whether that’s playing overseas next season or returning to my Seattle team. I’m not sure,” Solo said. Returning to the National Team? Solo also mentioned wanting to play in the FIFA Women’s World Cup 2019, but also spoke once again on Women’s equal pay in Soccer. Whether Solo returns to the pitch for Seattle or not, one thing is clear: she deserves a proper farewell. Shannon Boxx, Lauren Holiday, Heather O’Reilly and Christie Rampone all got their proper farewells. However, Solo has not. No doubt, she deserves better than just being ignored by Jill Ellis.